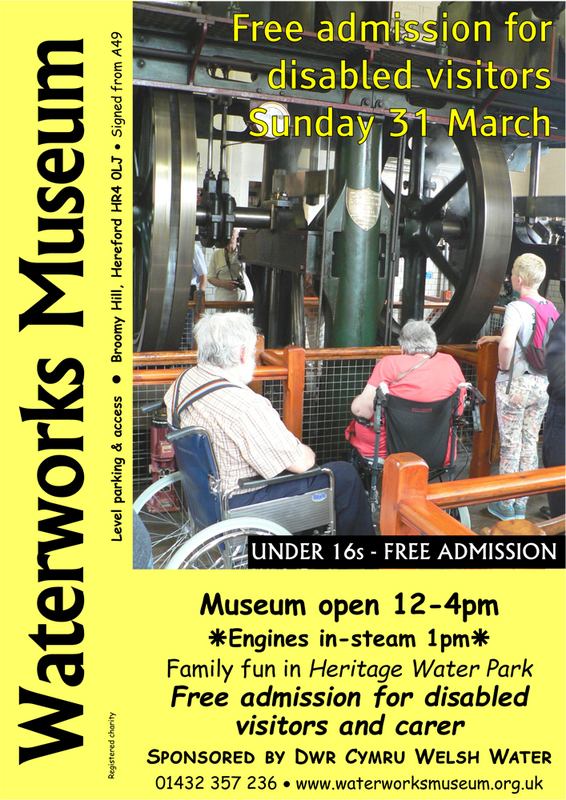 Hereford Waterworks Museum is not just a destination for steam and history enthusiasts, it is one of Herefordshire’s leading family attractions, including an award-winning children’s Heritage Water Park. 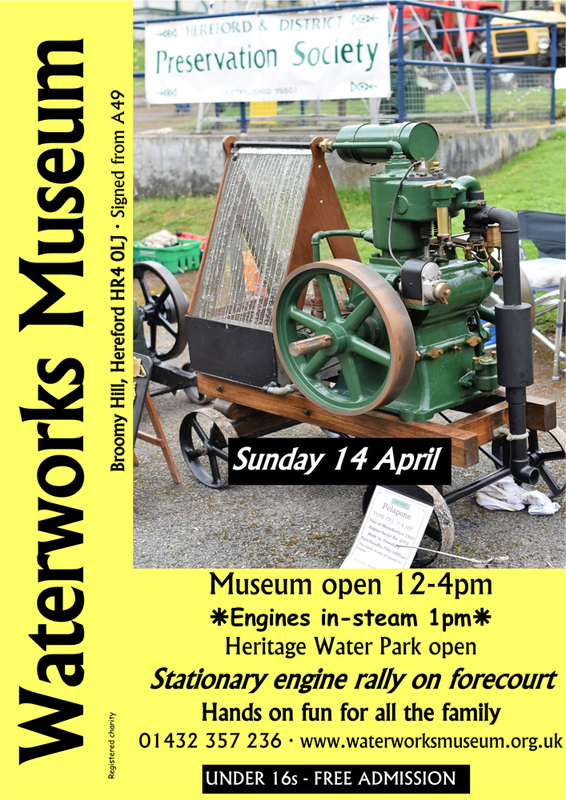 The Museum tells the history of drinking water through working engines and pumps, interactive displays and hands-on activities, and when the engines are in-steam, visitors can experience the sights, sounds and smells of a bygone age. There's plenty to interest the whole family, and, new for 2019 is free admission for under 16s. 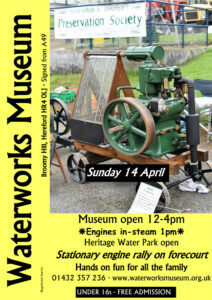 Volunteers will be on hand to show the machines and explain how and where they were used. The first event on Sunday 31 March, sponsored by Dwr Cymru Welsh Water, will see the Heritage Water Park open for the new season, along with free admission for disabled visitors and carer. 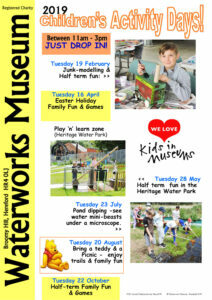 There will be six school holiday events for children – the first of these on Tuesday 19 February (Junk Modelling Day). Other events follow in the Easter Holiday, an event in each half term and two events in the Summer Holiday. There are hands-on exhibits to operate, especially in the Heritage Water Park (our Play ’n’ Learn Zone) - where children of all ages can have fun using life size exhibits to pump, lift, move and filter water. The Museum is open every Tuesday between 11am and 4pm, and on family in-steam days between 12pm - 4pm, with all engines working from 1pm. In-steam are held on the second and last Sunday of the month and on bank holidays between 31 March and the end of October (excluding 6 May). 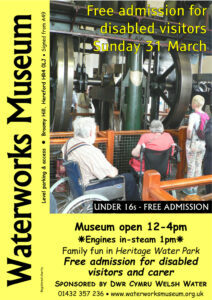 For more information about events and children’s activities go to the Museum’s website (www.waterworksmusuem.org.uk) or send an email to info@waterworksmuseum.org.uk.